I’ve become bored with it, so I’m moving on. This painting evokes the confinement all beings find themselves in, hence the reds. The chicken represents humanity shackeled by our desires, and the eyes seek to capture the emotions connected with the human condition. Acrylic on canvas painting 14″ x 18″. 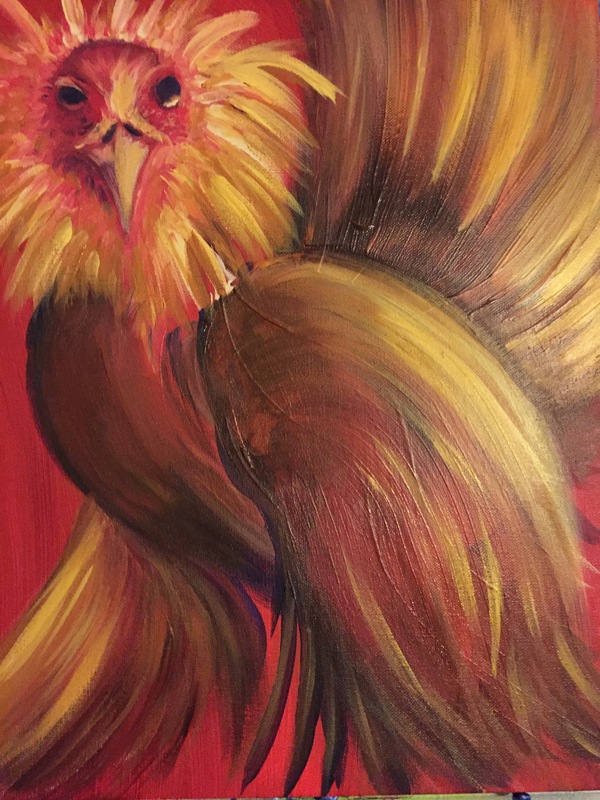 This entry was posted in Art, painting and tagged acrylic, art, artist, bird, canvas, color, contemporary, local, modern, painting. Bookmark the permalink.